Amidst all the prize bingo and quiz sessions at Campbeltown Bowling Club Stronvaar members have fitted in a winter of carpet bowling. 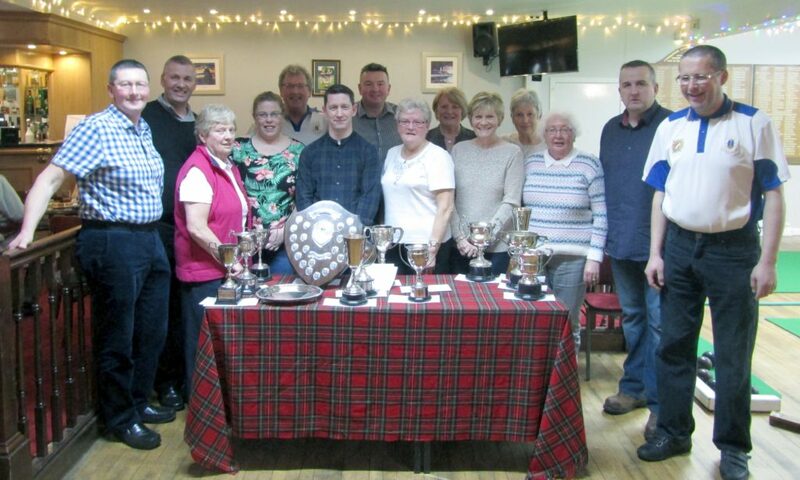 The event was well attended by winners and club members. Honorary member Ria, who described herself as the ‘third oldest lady member’, declared the various stalls open. This match was closely contested and produced a lot of excellent bowls before Jimmy Anderson resulted as the winner. The final see-sawed from one side to the other until the last end. The final end saw Neil’s trio with a three-shot lead and lying what seemed to be an unbeatable toucher to ensure the win. It was left to John, with his first bowl, to play the bowl of the day to dislodge the two lying shots.